Next week, Microsoft’s Windows Phone 7 products officially launch, and we’ll know whether they have another Zune or another Xbox on their hands. Microsoft’s luck with consumer products range from the first Zune, which was a well-funded failure, to the Xbox, which was surprisingly successful, and we could toss in Windows Vista and Windows 7 as additional bad-to-good examples. 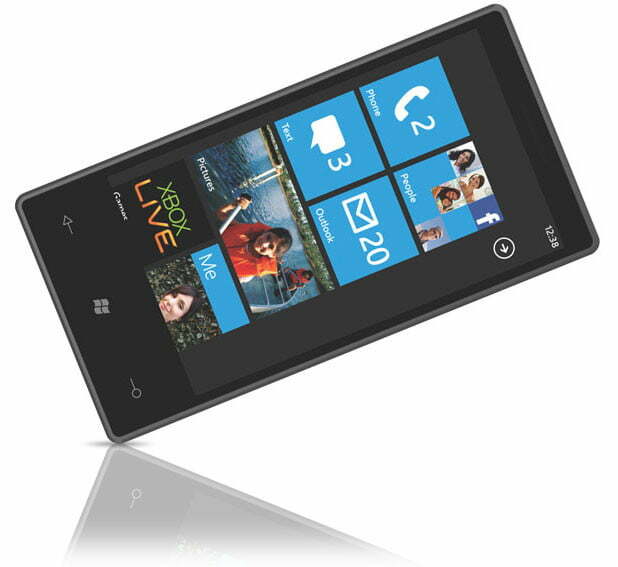 I’ve looked at Windows Phone 7 now at length, and I think it could be a player, if it can just get over its name. Let’s explore that. 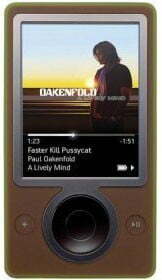 I was very excited about Microsoft’s first Zune, until I saw it. Microsoft had done a lot of things that made music more social that limited the related cost, and made it easier to discover, which Apple had not. The retailers hated Apple because the firm was not only too controlling, but had opened stores that competed with them and got favorable treatment with regard to inventory. Microsoft had a rich accessory line, and for once, a marketing budget. However, when I saw the device, I was dumbfounded, because it looked like a square turd to me (it was even brown). I asked, hoping to be right, whether it was a hardware mule, and the cool-looking product was still under development. I was horrified to find out they actually planned to try to sell the brown turd, and was told that brown was the new black (how wrong they were). I must have appeared to be in shock, because the Microsoft executive laughed and said, “You know, we are Microsoft, and it does take us three times to get something right.” His departure from Microsoft was not voluntary as you can imagine. Current-generation Zunes are vastly more attractive, but they are no real competition for Apple, and likely just are a hedge for Apple against successful monopoly problems. Xbox was more of a different beast, driven by people who loved gaming. It came to market more loaded, with vastly better marketing. While initially the design was more driven by cost considerations than beauty, that wasn’t unusual for that market. And Apple wasn’t in it. Here, the offering was much more complete, and the new Xbox is arguably the best-looking gaming system on the planet. Granted, it helped a lot that Sony horribly messed up the PS3 by massively overshooting cost limits and darned near putting itself under. At one point the PS3 was both overpriced, and selling at an estimated $600+ loss per system. Still, Microsoft got the online side of its product fixed more quickly, and as Sony made its products less attractive to conserve cost, Microsoft made its more attractive, creating a disparity that seems to be favoring Xbox sales now over both PlayStation and Nintendo. While we could argue whether Microsoft is now the leader in this market, there is no doubt the company is a serious player, and that is what it needs to be in the smartphone segment. Coming into the launch, Microsoft has a number of potential advantages. It has a rumored marketing launch budget that exceeds Apple’s, its user interface is more graphics rich and new than either the iPhone’s or Android’s native interface and it is more consistent across different hardware than Android. The phones will be on more carriers than just AT&T, and they will come in a variety of designs, not just one. However, they need to provide one more thing – and that is status. However, they only need to provide more than the Android platform provided initially, not the iPhone, and that may be doable. Google does virtually no marketing or real demand generation for its products and relies entirely on the carriers or device manufactures for that, and these folks often have little in the way of budget. Google is under increasing pressure to bring costs in line with revenues, making it very difficult for it to fund a marketing campaign at Microsoft’s or Apple’s level. Finally, when it comes to product placement in TV and movies , Microsoft has risen to challenge Apple’s efforts in this area. It is hard to find a show on TV that doesn’t have the Windows logo on most, if not all of the PC hardware on screen. This would have an even bigger impact with smartphones and does with iPhones common in media today. Could it come down to name? I actually think Microsoft could surprise Google, and maybe even scare Apple this time, except for one nagging doubt. The name “Windows Phone 7” just doesn’t feel cool to me. I can see people say with pride they own an iPhone, or even an Android phone, but, “Hey, check out my Windows Phone 7 phone!” just sounds lame. 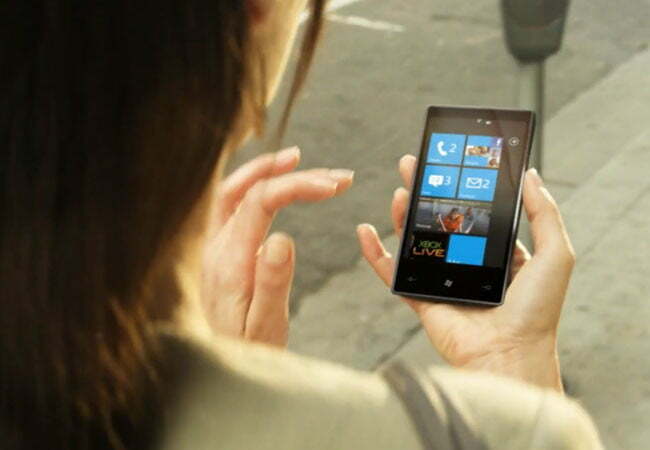 I’ve tried “WP7 phone,” which is better, but I haven’t seen the platform positioned that way. And while you could drop back to the phone name itself, “Check out my HTC Kraken,” it is Microsoft that has the marketing budget, not HTC. As a result, strangely enough, I think the success of this phone will be directly related to whether Microsoft can get around the name of its platform, and make the devices sound cool so buyers can tell others, with pride, about their purchase. So going back to the Xbox, which wasn’t called “Windows XP Embedded with Gaming,” Microsoft’s success will be directly related to how people talk about the Windows Phone 7 products they buy, and how little they say the words “Windows Phone 7.” Let’s just say I don’t envy the person who owns Windows Phone 7 marketing. We’ll revisit this next week after the launch.